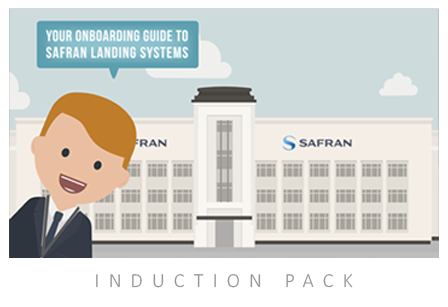 Safran - Onboarding and Induction - Learning Nexus Ltd.
Safran has over 70,000 employees worldwide and is ranked as one of the top “Happy at Work” organisations. 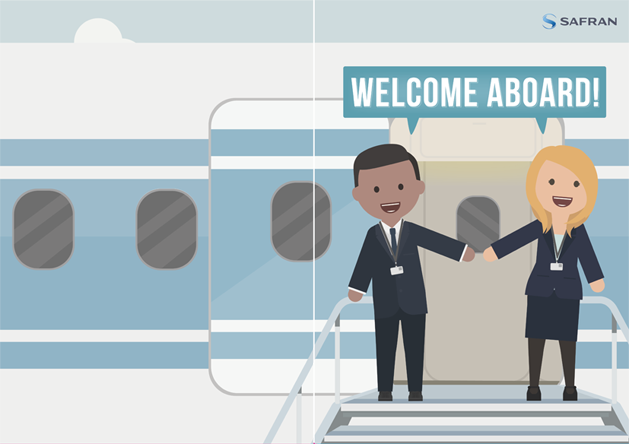 To uphold their focus on employee satisfaction, Safran Landing Systems, the world leader in aircraft landing and braking systems, wanted to revolutionise their onboarding and induction process with Learning Nexus. The UK-based site felt that the process had become a dull and tedious task for both HR staff and new employees. The consistency of messages delivered to new starters had also become comprised, restricting their ability to create the right impression of Safran. How did Learning Nexus help Safran? With the task of brightening up an onboarding process that had been running for over 100 years, Learning Nexus devised six blended learning elements. 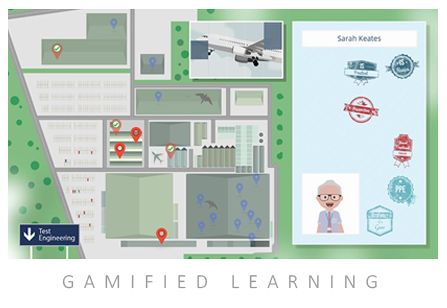 Inspired by our game for Allianz, this engaging eLearning course was based on a map of Safran Landing System’s site – guiding users through different buildings and areas of the organisation to learn more. With such a huge working site, most employees don’t get to see other areas of the business until they’ve booked onto a new employee tour. 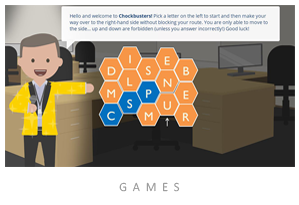 The introduction of this eLearning game avoided this barrier and ensured that every employee had a thorough understanding of the organisation before starting in their own department. 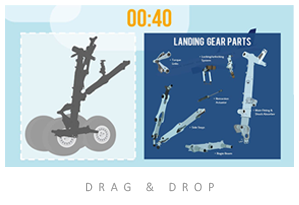 The game has interactive elements to engage with the new starter – including testing landing gear in Safran’s testing department and a range of quizzes and puzzles. To provide a consistent message across the induction process, Learning Nexus designed a sophisticated folder to hold all the important administrative documents for the HR team to distribute to new starters. 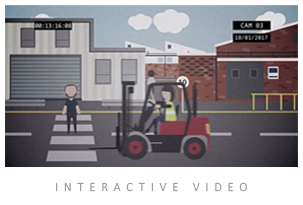 The inclusion of characters and animations from the eLearning game helped to pull together the online and offline process – creating a modern blended approach. 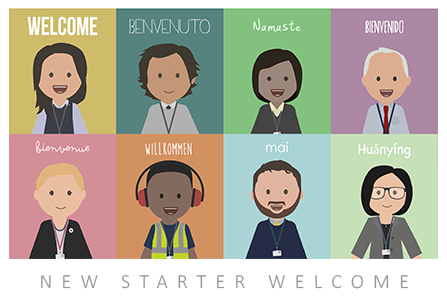 Learning Nexus helped Safran to alleviate new starters nerves by designing ‘welcome postcards’ to be sent out before the employees’ first day. 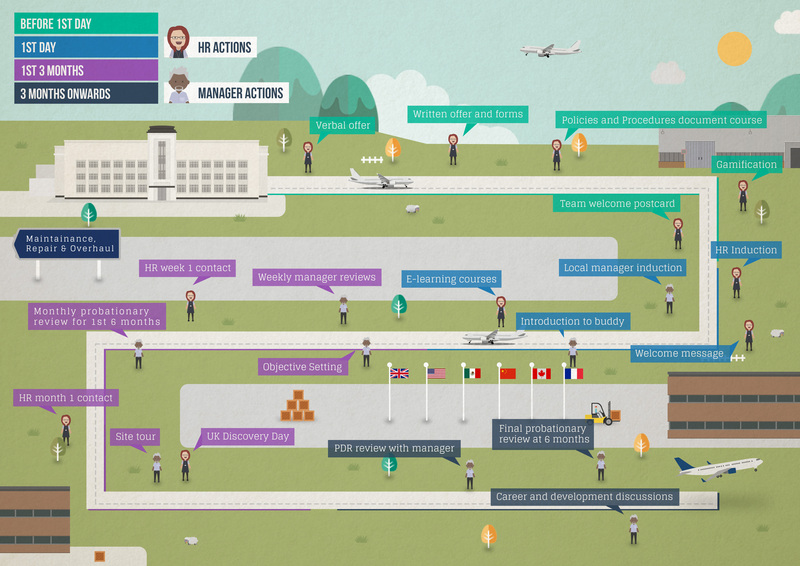 The postcards include characterisations of real Safran employee’s, adding authenticity and fun. 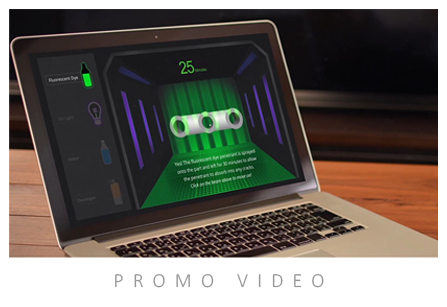 Putting aside the nerves, the onboarding process can often be confusing. 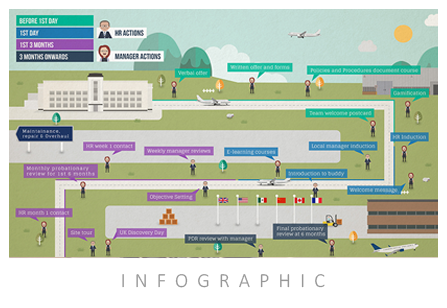 To simplify the process, Learning Nexus designed an infographic to clarify the responsibilities of the new starter’s manager and the HR team. This included the initial stages such as receiving a verbal offer, all the way through to the six-month probation review. 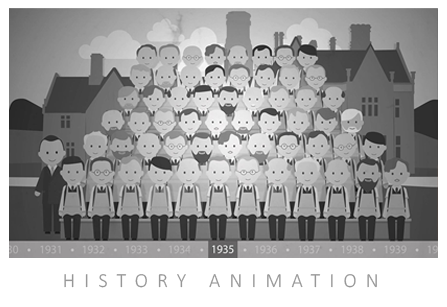 Learning Nexus created a “History of Safran” animation which captured their expansive history timeline and will allow them to share this with new starters, current employees and even as a sales tool in tenders. Whilst the HR team had been working hard to revolutionise their induction and onboarding process, they felt it was important to share this internally. 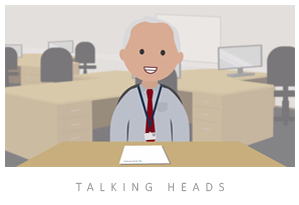 To support this, Learning Nexus created a promotional video highlighting the key improvements to the process, showing staff how the organisation is changing to keep up with the demands and expectations of developing a strong and satisfied workforce. The numerous elements embedded by Learning Nexus helped Safran’s HR team to effortlessly blend online and offline onboarding activities. 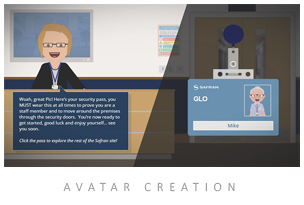 The eLearning game is hosted on Safran’s learning management system to allow for monitoring and tracking of new starter access, whilst the offline elements such as the postcards and folders help to provide a consistent journey for each new starter. 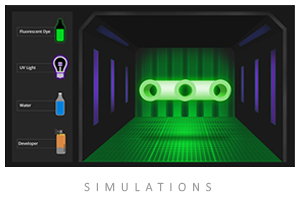 This project was based on a partnership with Optamor, the managed training solutions provider for Safran. Learning Nexus are a Preferred Provider to Optamor who provide a managed Training Solutions Service to Safran. Initial discussions on the approach to on-boarding led Optamor to recommend a digital learning approach and Learning Nexus was successfully chosen from a number of providers responding to the creative brief devised and issued by Optamor.